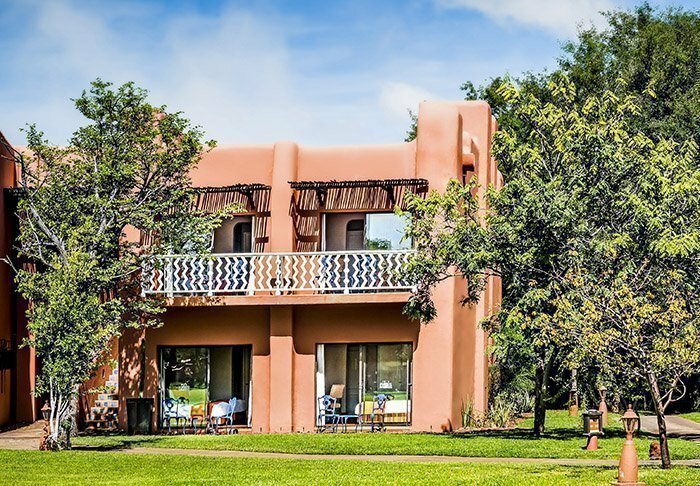 For more information about the accommodation we make available in Zambia see here. You can also view pictures of the accommodation here. 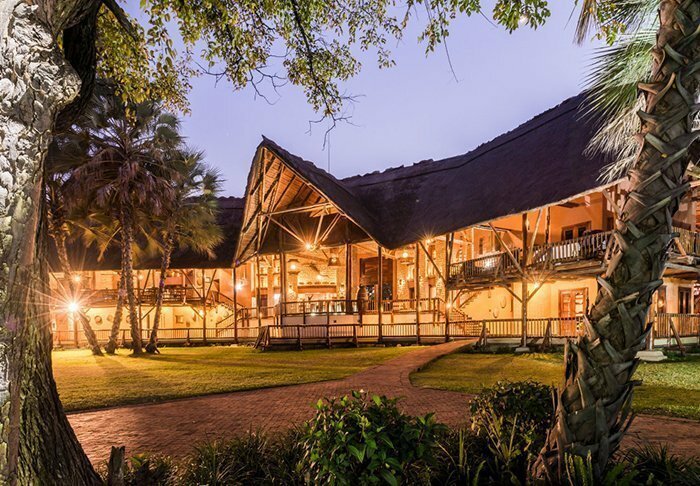 David Livingstone Safari Lodge and Spa enjoys a delightful location in Mosi-oa-Tunya National Park, on the banks of the Zambezi – one of the longest rivers in Africa – and just 5 km from the impressive Victoria Falls. 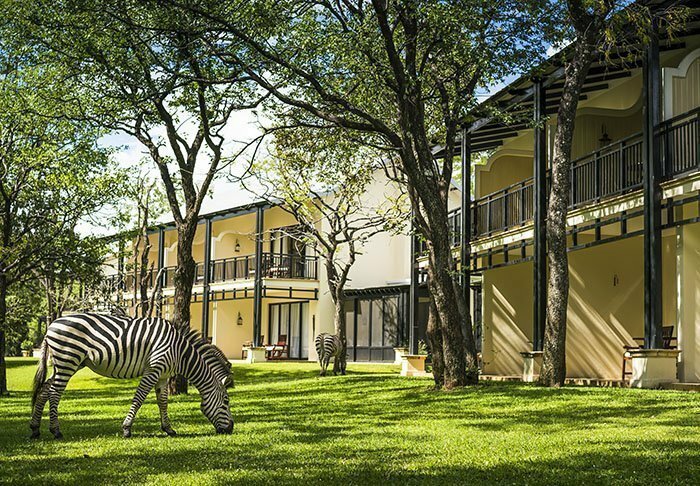 As the lodge is actually in the grounds of the national park, it is not unusual for zebras, impalas and other small animals to visit the gardens. The lodge is built of natural materials that blend in perfectly with the breath-taking surroundings. The rooms are appointed with dark wood furniture and decorated in warm, earthy tones. All rooms have air conditioning and an internet connection and feature a TV, telephone, mini-bar and safe, as well as a separate bathroom with a hair dryer. 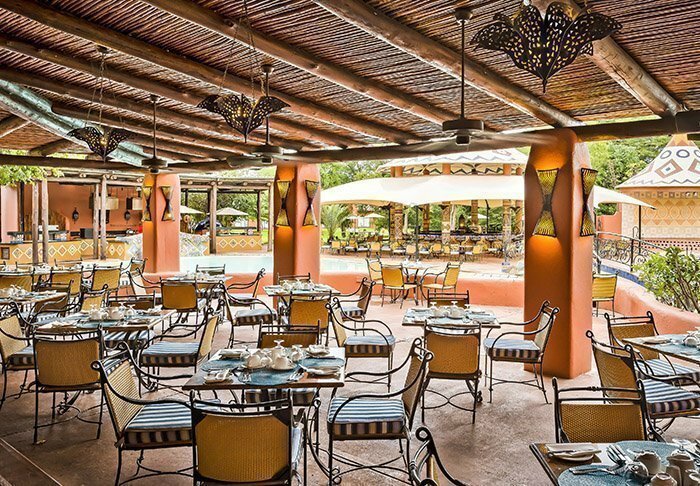 Step out onto the balcony and enjoy a ‘sundowner’ as you admire the magnificent African sunset. 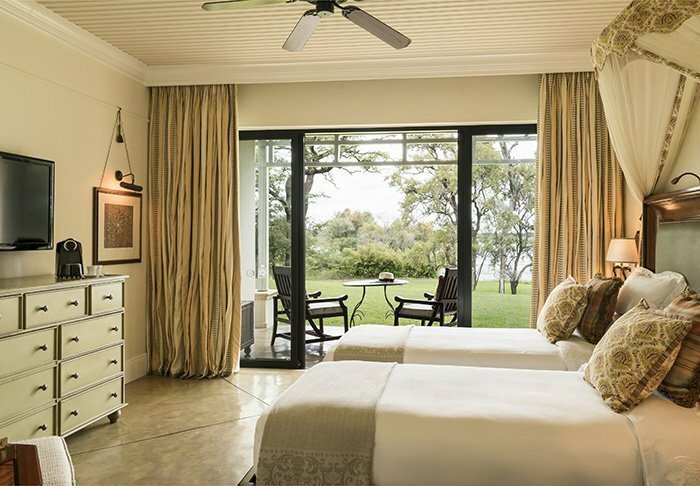 Facilities at the lodge include a swimming pool and a spa department with a panoramic view out over the river and Victoria Falls. 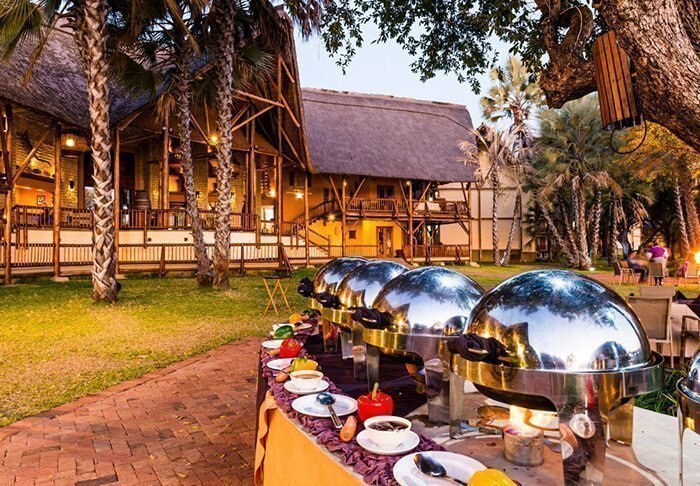 There are also restaurants serving traditional delicacies and a wide selection of South African wines. 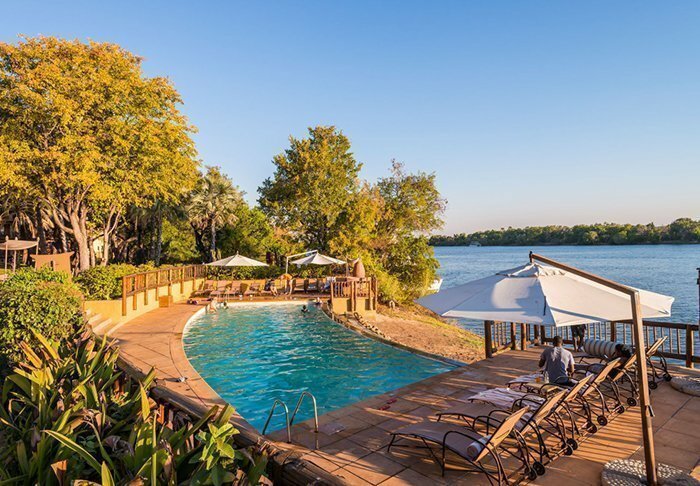 The cosy four-star AVANI Victoria Falls Resort is, like its sister hotel The Royal Livingstone, situated inside the Mosi-oa-Tunya National Park itself. 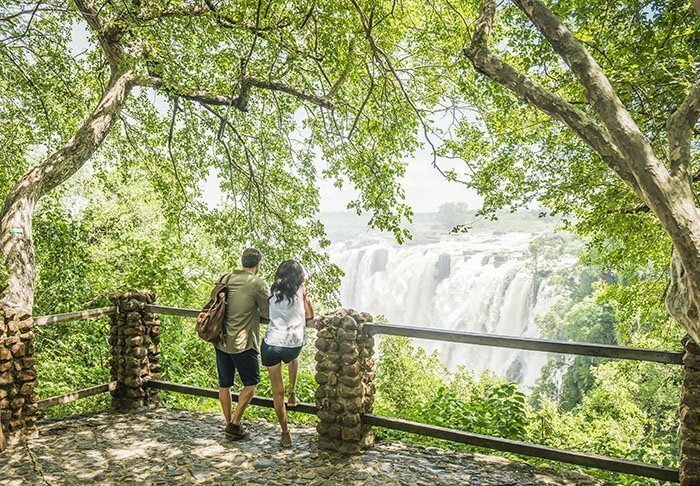 This means you have unrestricted access to Victoria Falls during the day and can go on as many walks to the falls as you like – without having to pay a national park admission fee every time. 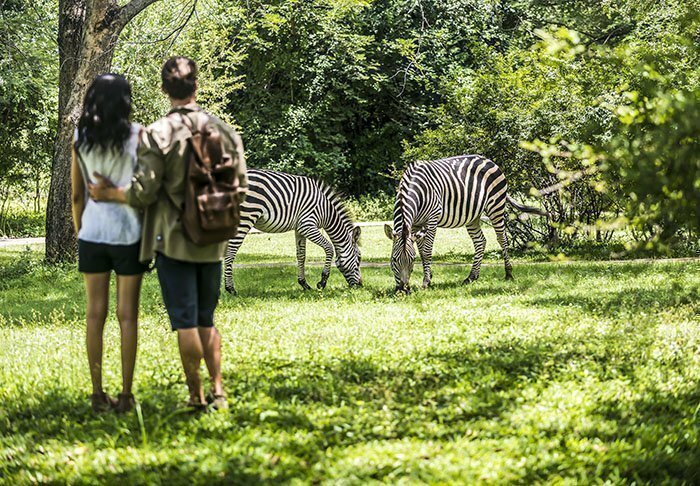 As the hotel is located in the middle of a national park, you will also be staying alongside the animals of the national park, and it’s not uncommon to come across a zebra or an impala on your way to the breakfast buffet. 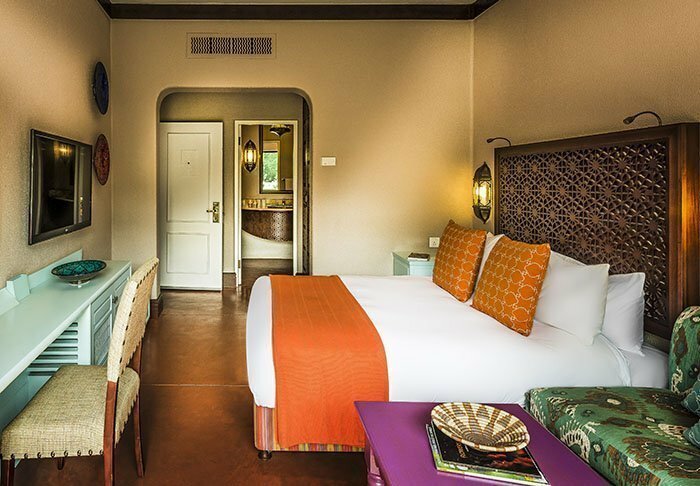 The hotel is decorated in a beautiful blend of classic African style and Oriental tones, exuding charm and cosiness by the bucket-load. 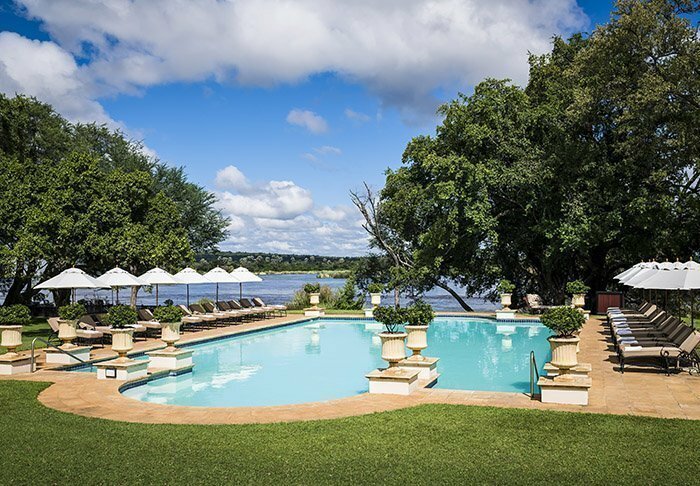 Couples, families and solo travellers will feel welcome at the hotel, which has a pool, a children’s playground, running and walking trails for adults, restaurant, bar, its own lake – and, as mentioned, direct, free access to Victoria Falls during the day. All rooms have an en suite bathroom and toilet, fridge, air conditioning, a safe, TV, tea and coffee-making facilities and free Wi-Fi. 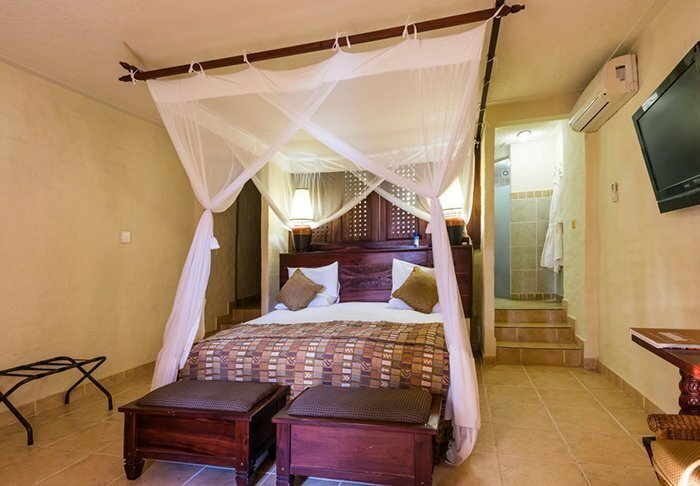 All rooms also have either a balcony or direct access to the garden. Imagine waking up at sunrise. Outside, you can hear the birds cheeping and a gentle breeze rustling in the trees. You open your patio door – and there’s a zebra! It’s grazing peacefully. Behind a tree, you catch a glimpse of the back of another. Suddenly, along trudges a giraffe. A tree of particularly delicious leaves has caught its eye. 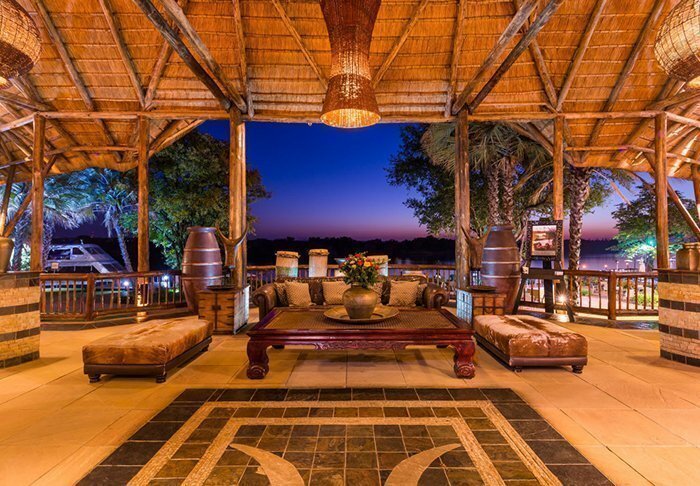 You head down to a lounge area, which is located right by the Zambezi River. Sit yourself down you in a chair overlooking the water. On your right, the river flows deep into the countryside. On your left… You grab your camera. On your left, just a few hundred metres away from you, is the most perfect rainbow you’ve ever seen. 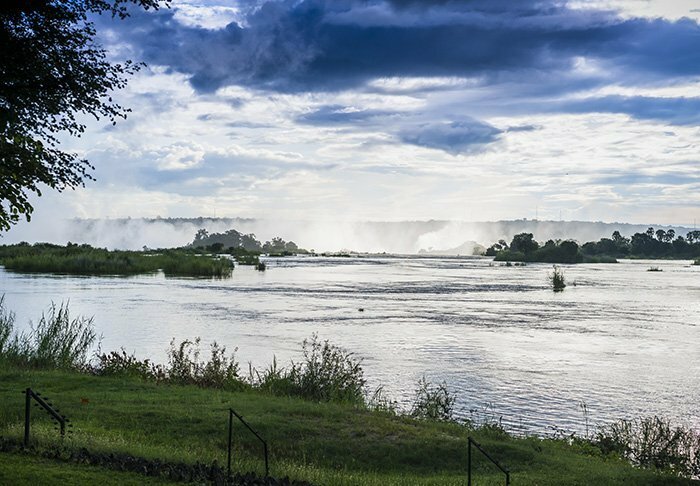 It extends from one bank of the river to the other, perfectly framing the spray from the mighty Victoria Falls rising several hundred metres into the sky. This is your view from the hotel! That’s why you’ve chosen to stay at The Royal Livingstone. If you want to get closer to the falls, you can walk there whenever you like during the day. It takes 10 minutes. You are actually staying in the national park and don’t have to pay national park fees. It doesn’t get easier or more beautiful than this! 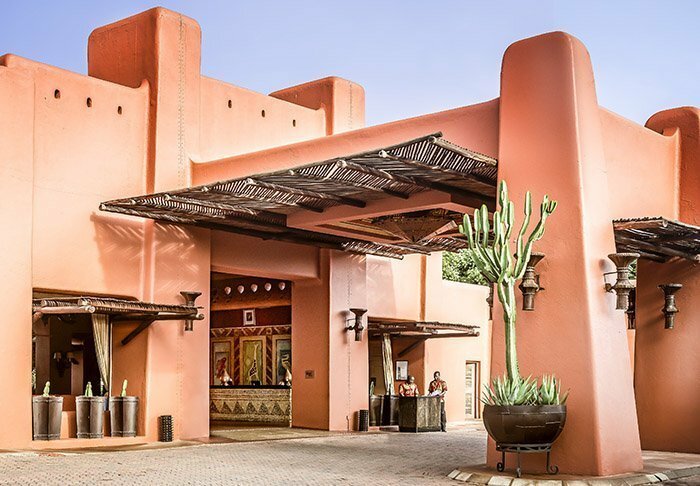 The five-star hotel is built in an exclusive style dating back to colonial Africa with dark furniture and animal skins and is a five-star hotel in every way. 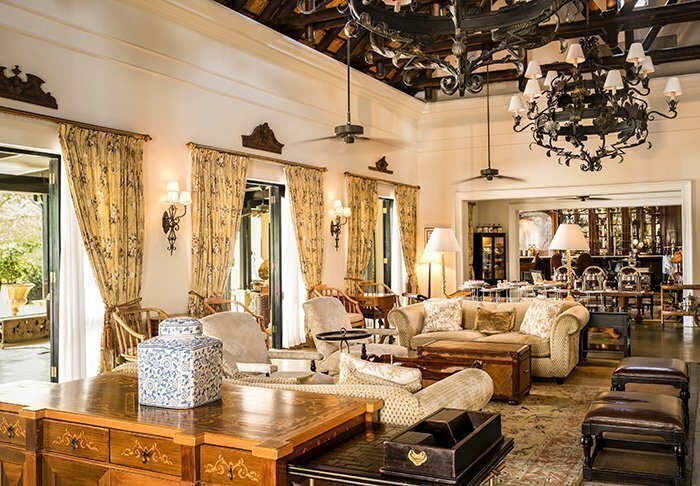 It has 173 rooms, divided into small houses of 6–8 rooms in an almost park-like garden. 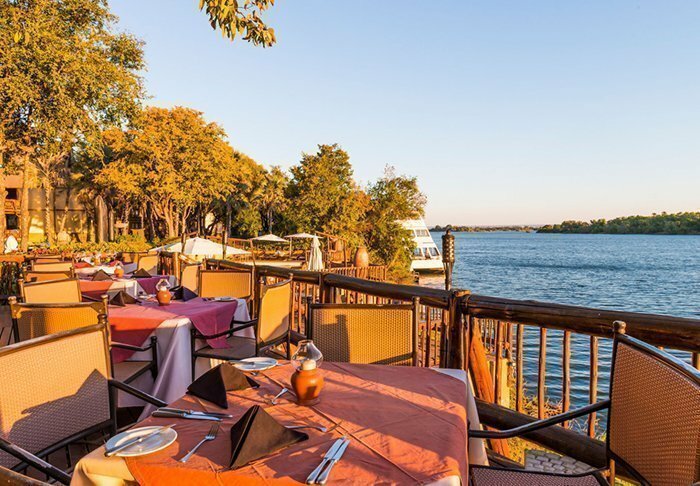 Each room has its own terrace or balcony overlooking the Zambezi River and has air conditioning, a safe and a TV. Each little “house” has its own butler service, so if your shoes got wet when you crossed Knife Edge Bridge at the falls, he’ll dry them for you. 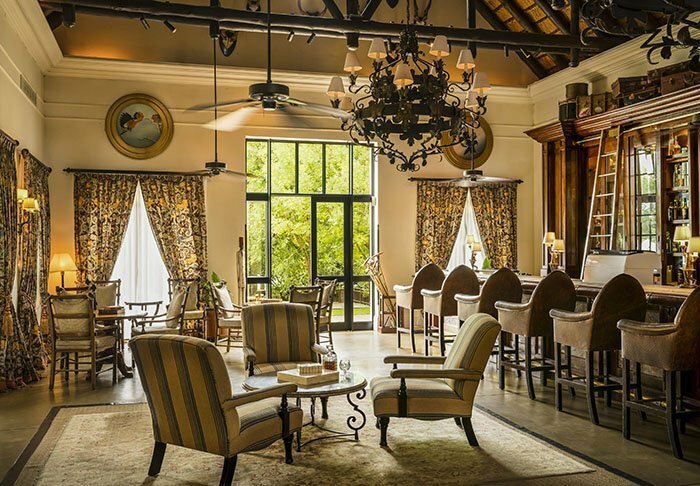 Start the evening with a sundowner cocktail by the river – or perhaps in the soft sofas of the cosy library before moving on to the restaurant. It serves international and traditional dishes, and you can sit inside or out. The hotel also has a day spa where you can enjoy a massage. Or why not relax in the hotel’s pool area and go for a walk in the herb and rose garden.